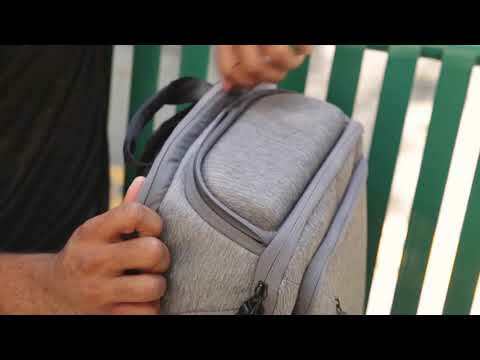 Slim, lightweight and radiating understated style, the Targus 15.6” CityLite Premium Convertible Backpack keeps your devices (and more) organised and protected – for whatever your day has in store. The patented DOME shock-distribution system delivers added protection just where your laptop needs it. 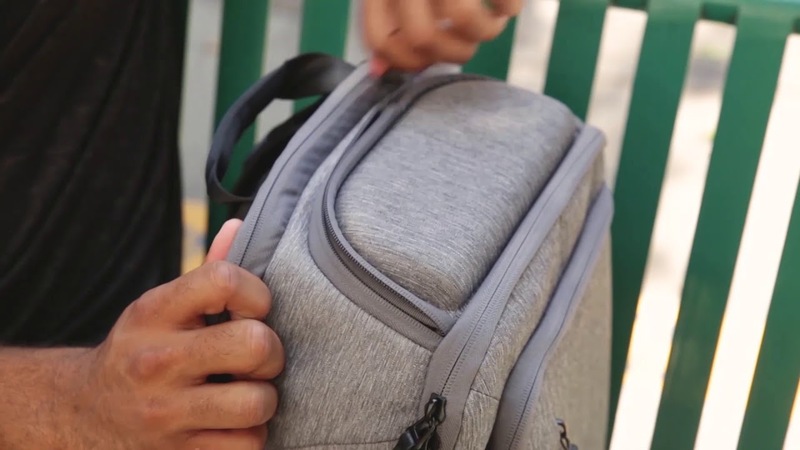 An accessible front pocket safeguards your tablet. There’s even a soft-lined pocket for your sunglasses. The removable, customisable accessory holder and built-in workstation organises your essentials for maximum efficiency as you move through your day. And the handy USB pass-through port prevents communication downtime. Just connect your power pack (not included) to the integrated interior cord and attach your phone to the external USB port, and you’re ready to power up while on the go. A resourceful companion for your many endeavours, this versatile quick-change artist easily converts from backpack to briefcase. Shoulder straps stow neatly away for sleek freestanding and briefcase carrying with the low-profile side handle. The rugged, tip and weather-resistant base keeps it standing tall. Smooth, heathered material resists fading, stains and wetness with durability to keep it looking good for the long haul. Take it for a ride atop your luggage for travelling ease with the integrated luggage trolley strap. Keep your phone powered and at-the-ready with style-savvy convenience. Just plug into the strategically placed USB pass-through port and stash your phone in the zippered side pocket. Your power pack resides neatly out of sight in the interior pouch and connects via an integrated interior cord. Detach shoulder straps at their base and tuck them discreetly away for sleek and easy briefcase carrying with the retractable side handle. Long client meeting? Taking your time at the coffee shop? Tuck straps away for a slim, sleek look whenever your pack’s resting at your side. Move efficiently from work to play with smart features that keep you organised and efficient. The removable accessories holder system keeps your essential gadgets close at hand and organised as you like with a lattice of elastic bands. The handy workstation houses your writing utensils and business cards. The spacious main compartment is partitioned for clutter-free containment of files, folders, keys, and more. Last, but not least, the EVA-moulded top pocket safeguards your sunglasses while keeping it close at hand.